You’ll receive certification as well as instruction sheets and operator’s manuals for all equipment purchases. From top of the line Automatic Slicers to smaller volume home production, Hess has what you need. 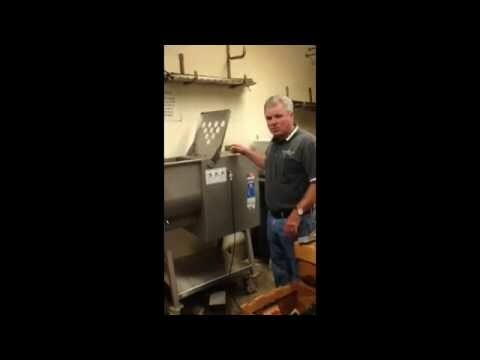 Order from HESS MEAT MACHINES Superior Sales Staff with the product knowledge you need. We offer our expert solutions for the most cost effective, value added solution, for your long-term goals. In business since 1946, Hess Meat Machines is a full service provider of commercial food equipment, and butcher shop equipment. Hess provides sales, consulting, installation, training, support and service. Leading the Missouri and Illinois areas for meat processing equipment and food equipment. Top sales in scales, slicers and meat shop equipment. Authorized METTLER TOLEDO Distributor. Hess is nationally recognized for their quality sales and service. Missouri and Illinois Butcher Shop Equipment sales and service leader.